Thank you for your attention. We appreciate it in the whirlpool of information we live in nowadays. In exchange, we are thrilled to invite you to an even where you can learn outside the classroom, meet interesting people and broaden your horizon. Sounds good? Read further. Imagine you are studying hard for your exams, writing papers and doing your group assignment – you need each cell of your brain and sometimes you still make mistakes. Of course, dear Murphy, it always happens when you are scarce of time. Interested in how you can tweak your brain to decrease the number of errors you make? We have a speaker who will tell you his secret sauce. Take another example. Have you ever wondered under the starry skies how far the Milky Way is, what’s out there in the void and beyond, how does it look like for real? Come and listen to one of our contestants who dives deep into 3D modelling of faraway galaxies. These are just snippets of all the exciting research projects researchers are running every day (and night). 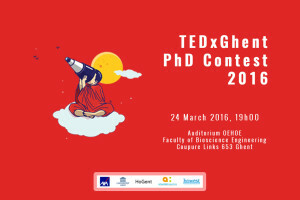 Join us and get a taste of the mix of science and storytelling at our annual TEDxGhent PhD contest! Mark 24 March in your calendar, vote for your favourite speaker (who can win a special prize!) and enjoy a reception after with us. Thanks to the generosity of our supporters, entrance is free of charge – although you are recommended to reserve your spot via the event page! 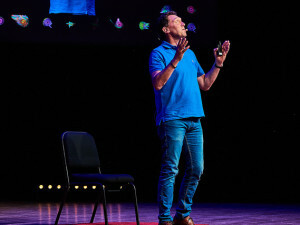 Jan Claes: How can you tweak your brain to decrease the number of errors you make? When you have to process too much information, your brain gets overloaded and you become slower and make more errors. Depending on who you are, how your brain works and what you have learned before, there is an optimal technique to execute everyday’s tasks in order to avoid cognitive overload. In this presentation you will learn to recognise the relevant factors, adapt your problem solving strategy to it and become more effective and more efficient! Hajar Ghaem Sigarchian: A Book Forever! A Book Forever is a book that grows with your child. It can predict and present the most appropriate content for you children based on each individual child’s progress. It is challenging to identify right metadata based on child developmental charts. If your senses cannot always be trusted because of optical illusions, can you always trust your moral judgments? Are there moral illusions that violate your deepest moral values and negatively influence your decisions? And what is the antidote to reach a more rational, authentic ethic? The Andromeda galaxy is the closest large galaxy to our own Milky Way. When you look at it through a telescope, you will see a bright disk overlaid with shadows. I will show you what these dark patches are and how we model them in 3D. TIME, as a basic concept in science and philosophy, was perceived differently in Indian Buddhism and in traditional Chinese thought. As a consequence, when Indic Buddhist texts were first introduced into China during the first centuries C.E., various obstacles occurred concerning the translation of TIME on linguistic and cognitive levels. This talk is to present one example on how Buddhist monks addressed these problems thus offering some insights on the transmission of ideas in cross-cultural contact. Farm living is not just idyllic, farm children have half the rate of asthma compared to children from nearby towns. Putting some pieces of the asthma puzzle together, we could show how farm dust protects from asthma and allergies. Leading the way to finding new drugs to combat asthma. Bjorn Van Keymeulen: Can incontinence care be optimized by means of technology? Current incontinence care systems bring along many burdens for both patients and care givers (and even society). A new care system, developed with state-of-the-art technology, can reduce those burdens significantly and simply guarantees a higher quality of incontinence care. This system makes it possible to optimize and personalize incontinence care, better protects the privacy and comfort of the patient, and reduces the ecological footprint. The use of swarm robots (agents) has been widely investigated as a new engineering technique for facilitating our daily life but what I would like to discuss in my talk is a different aspect of the use of swarm robots. 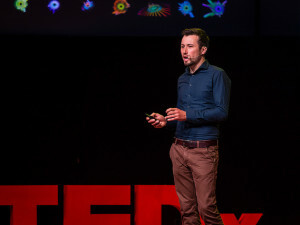 The use of swarm robotics could also be a novel and powerful approach that helps us to change the way how we recognize complex patterns in nature. Belgium is a world leading country in recycling, where only 3% of the produced waste ends up on the garbage belt. This results in a sustainable cyclic recovery of valuable products from waste. Can we do the same with water? Finding out some common, popular facts that we grew up believing, are merely misconceptions, often has no real significance to our lives. However some misconceptions might be of more importance: our daily decisions of what to eat are often motivated by wrong information, but they have significant repercussions on our health and the environment. In this talk I will elaborate on these misconceptions and their consequences. 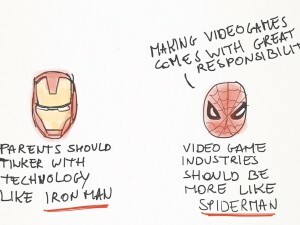 Antonius van Rooij: Does video gaming ruin people’s lives?